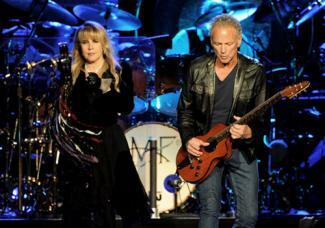 The story of Fleetwood Mac - well, you couldn't make it up. This band has been going in one form or another since the 1960s and has proved as adept at finding themselves knee deep in band related drama as they have in making hit records. Still, many of the albums - in particular, Rumours, and to some people, Tusk - are considered to be classics, and they continue to be a household name all of these years after the band formed. Most band stories start out with a "such and such band formed in X year when this person met that person." With Fleetwood Mac, even the beginnings were complicated. The driving force behind the formation of the band was Peter Green, who had been playing with John Mayall and The Bluesbreaker. Despite playing with this band, Green wanted to start his own project. This was 1967 London, when blues music was experiencing a huge surge in popularity, and it was essentially a blues band Green wanted to form. He first started by convincing John Mayall to let his friend, Mick Fleetwood, a drummer, to join The Bluebreakers. Also in the band at the time was John McVie. Green and Fleetwood were gung ho about forming their own band, and they had their site on McVie as another member. McVie, however, wasn't interested in joining. A steady source of income is not an easy find for a musician, and McVie knew he had a good thing going with Mayall. Green and Fleetwood did not give up, however. They convinced McVie to help them out on some recordings, and they called the band Fleetwood Mac in the hopes of bringing McVie in. He didn't bite. Eventually, Green and Fleetwood called in a temporary bass player in the form of Bob Brunning - but Brunning was on notice from the start that his job was out the window if McVie came around. The Fleetwood Mac line-up with Brunning made its live debut at the Windsor Jazz and Blues Festival in 1967. A week later, McVie decided to come on board. Detailing the personnel changes that occurred in Fleetwood Mac over the next few years could take up an entire book - and may require visual aids. People floated in and out, and then back in again, thanks to a series of bust-ups, inter-band sniping, mental illness and more. One member of the band - Jeremy Spencer - headed out to the shop to pick up a magazine on tour and never came back. A search for Spencer was launched, and everyone was concerned for his safety. A few days later, it emerged that he had joined a religious cult on the way to the store and decided to stay with them. (It was the Children of God group - they of the infamous "Flirty Fishing" practices - that he joined). A strange story, but somewhat par for the course for Fleetwood Mac. An even stranger story about the band is the story of Fake Mac. The band's manager decided that he owned the rights to the band's name and set out forming his own Fleetwood Mac. 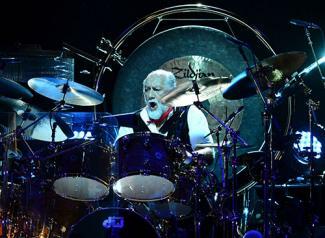 He convinced some of the band's many past members to come back (they were under the impression they were being invited to rejoin the real Fleetwood Mac) and sent them out on tour with some other musicians, claiming the most recognizable faces in the band would be joining them later. A former Mac road manager who had been tricked into working for Fake Mac blew the whole thing open, and naturally, lawsuits ensued. It turns out, the band HAD actually signed away the rights to the band name, but strings were pulled and eventually they were allowed to keep the name. They never hired another manager. 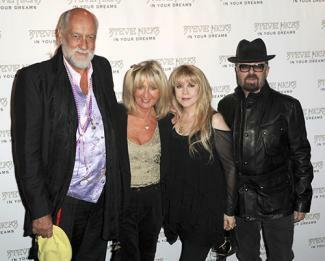 Perhaps the best known line-up in Fleetwood Mac history is the one that emerged in the 1970s - Mick Fleetwood, John and Christine McVie, Stevie Nicks and Lindsay Buckingham. The McVies were married, of course, and Nicks and Buckingham were also a couple. Their relationships fell apart amid lots of fighting and accusations of adultery (Nicks had a fling with Fleetwood, and there have been suggestions there may have been more inner band partner swapping). The whole mess is chronicled on the band's best known album, Rumours. 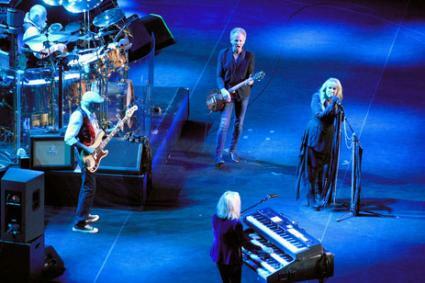 Various forms of this line-up have endured since the 1970s, and various members of the band still perform as Fleetwood Mac. Want to check out all of that raw Fleetwood Mac drama in all its glory? Look no further than their lyrics. These websites can help you out.